South Africa’s diverse natural environment is optimised for the production of a vast range of flowers. 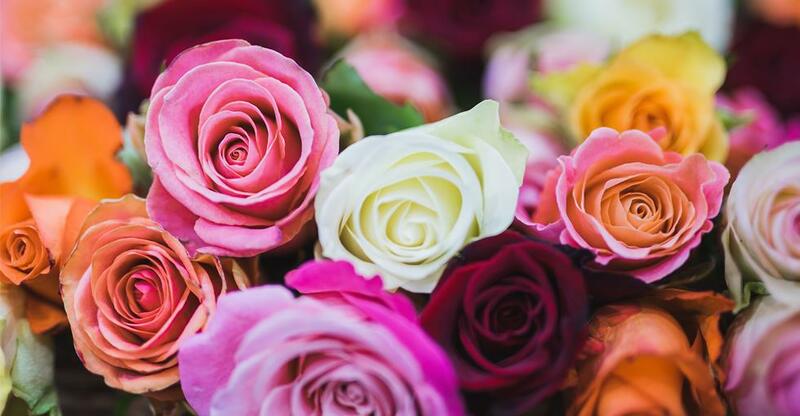 Other than peak times such as Valentine’s Day, the demand for cut flowers and other floral services remains fairly steady throughout most seasons. This is a sector which welcomes creative people, but training and experience will also be required to capitalise on your natural aptitude. The fact that most supermarkets sell fresh flowers demonstrates that colourful blooms are still an important part of our everyday experience. Though such outlets can make the marketplace seem tough for the would-be florist, there are two basic business models most entrants pursue. Firstly, the traditional neighbourhood florist’s shop can compete with the mass-market flower sellers by offering a quality product. Personalised service, specialist knowledge and a broader range of floral stock will help to differentiate your business. In addition, a willingness to customise your goods, and build partnerships with related businesses (e.g. caterers, photographers, bridal outfitters) will also serve to build a reputation for high-quality local service. The second alternative involves building an online presence as a virtual florist. Here, you may wish to specialise in certain niche areas, offer rapid delivery of flowers and plants direct to the customer’s door, or perhaps even send dried flower arrangements through the post. Modern buyers are often more discerning, which means they may be looking for flowers and plants which go beyond ‘nice’. This translates into themed arrangements using a blend of materials and stationary, with well-balanced patterns reflecting harmony and energy – in many cases moving towards a vibrant statement of floral art. However, it’s also important to remember that apart from weddings, funerals and celebrations, many consider flowers a luxury, which means your business fortunes may often be tied to how the external economy is performing. Supermarket chains and international online companies will always offer the cheapest prices and the ultimate in consumer convenience. So, your constant challenge will be to find effective ways to compete and build both a good reputation and a loyal customer base. This will require a blend of floristry skills, artistic creativity, innovative marketing and dogged persistence. For instance, some customers may appreciate some form of reminder service for birthdays, anniversaries etc., while many others would welcome the option to choose a specific time of day for delivery, custom colours, flower varieties and much more. Product diversification will also help to boost your clientèle. And likewise, stocking your premises with exquisite flower arrangements displayed in a quasi-fine-art setting would also draw in those who appreciate fine flowers. Some florist owners may wish to extend this approach further by including paintings and other fine art objects to emphasise the premium quality of your offer. Pursuing the quality and convenience angle, other popular options might include offering an exclusive range of partner accessories such as high-quality greeting cards and luxury chocolates. Building a portfolio of corporate clients may prove a challenge. However, successful outcomes are likely to help make your business more stable and resilient. Furthermore, there’s no reason why a bricks and mortar business should not also accept website orders and perhaps experiment with delivering an online service too. Who would make a good florist? Apart from horticultural training, you would need to be open to learning from others to keep abreast of new opportunities and trends within the market. In addition, like any entrepreneur you need to be able to think on your feet and find innovative solutions to customer requirements. It goes without saying that you must always be friendly and pleasant towards your customers. That can sometimes be demanding in an active, hands-on job where you will inevitably be working long hours. You must also be forever ready to try out new ideas in a market where your unique selling points will have a strong impact on your commercial success. Unless you are actively planning a new start-up, then buying an existing florist shop with a ready-made customer base tends to be a safer route into the trade. In most cases, your space requirements will be modest – fresh flowers and plants are perishables you won’t want to store. Practically speaking, that means you can go for something small and cheap. And with floristry equipment also relatively cheap to purchase, you may be able to look at businesses in high street locations. This would bring distinct advantages in a sector where you need passing trade to benefit from spur of the moment purchases, and also the need to impress the public with visual impact of your goods. Always thoroughly research the background of an existing business for sale. It may be run down, and therefore cheap, but you must be sure you can turn it around. Any property must suit your present needs as well as your plans for the future, and in most instances using a team of professionals to support your purchase will be well worth the investment you make to secure vital know-how at a time when you need it most.